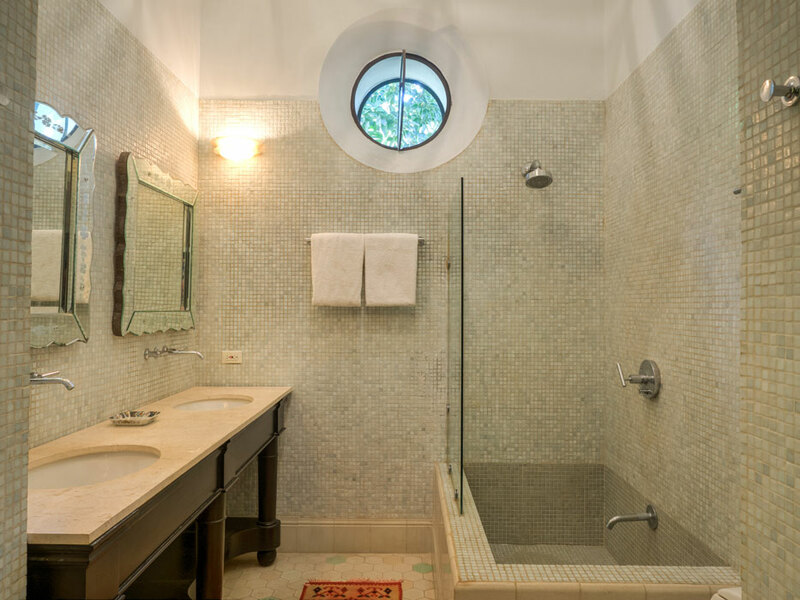 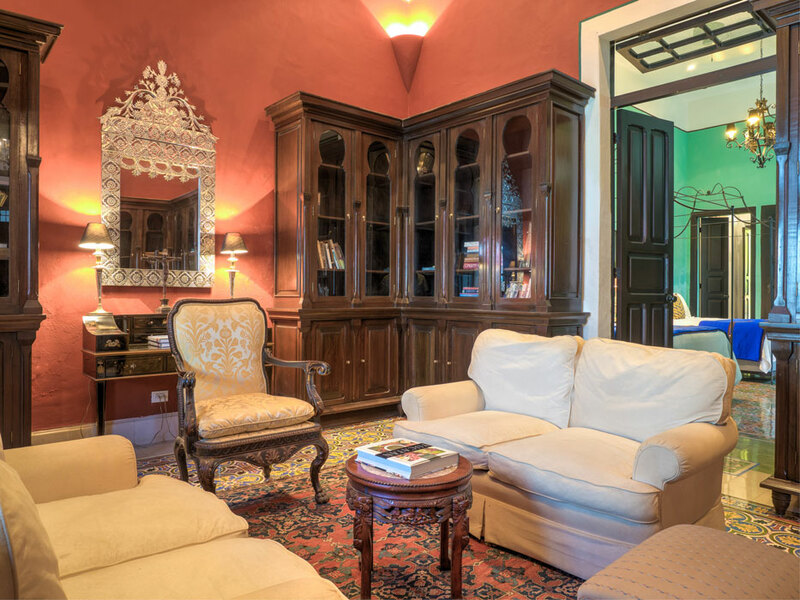 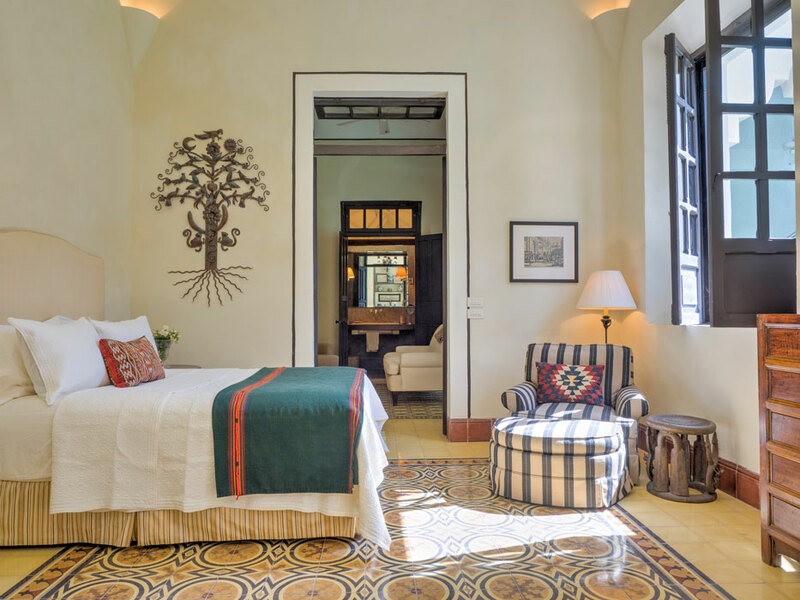 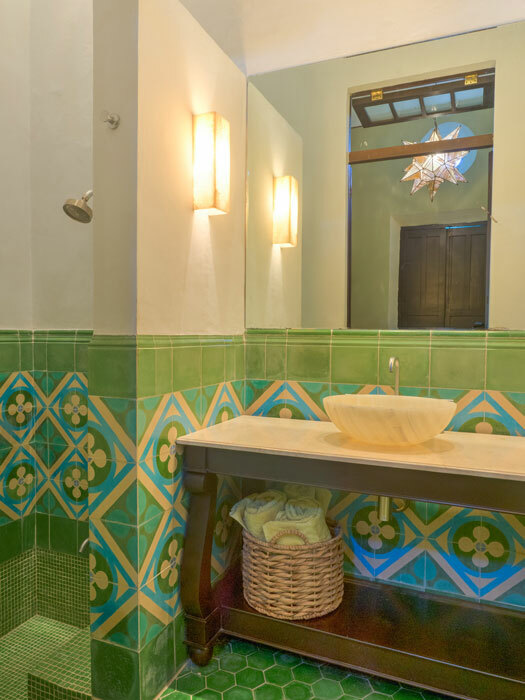 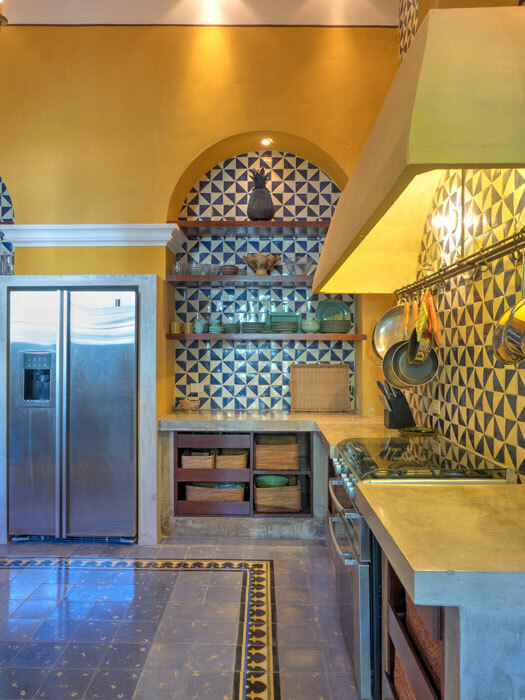 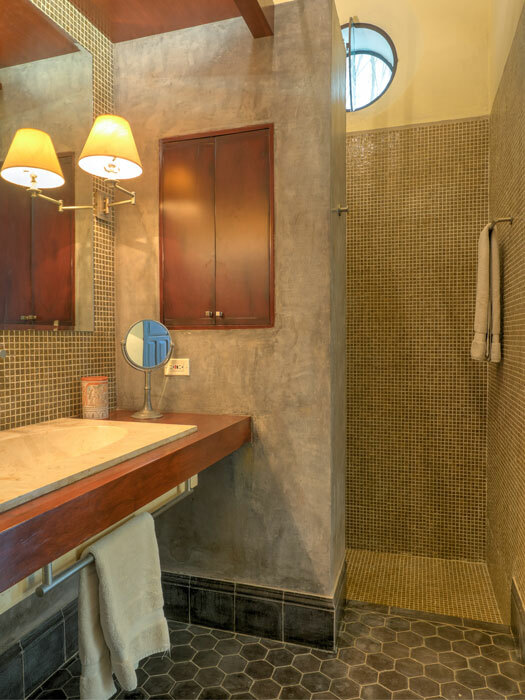 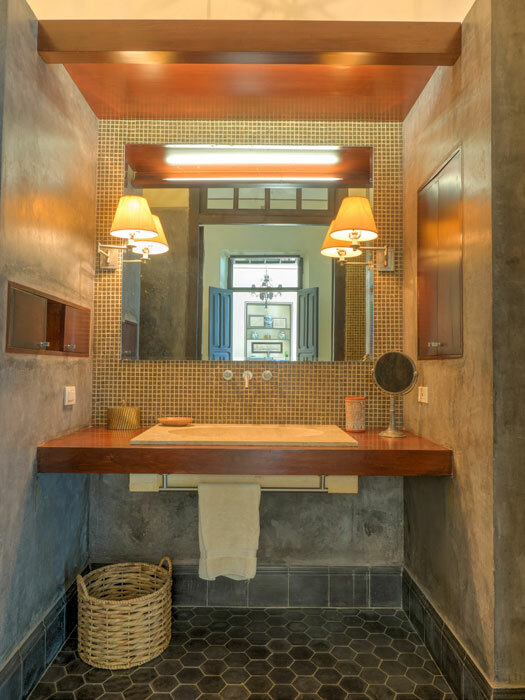 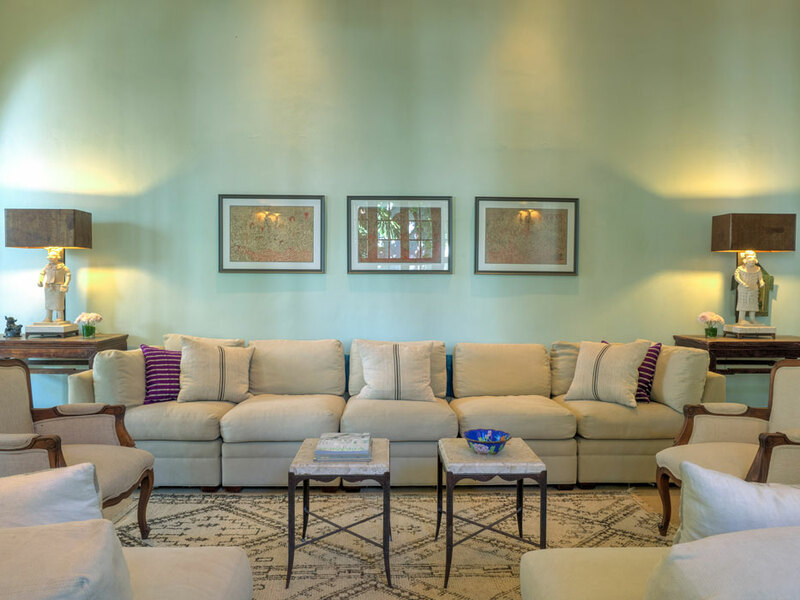 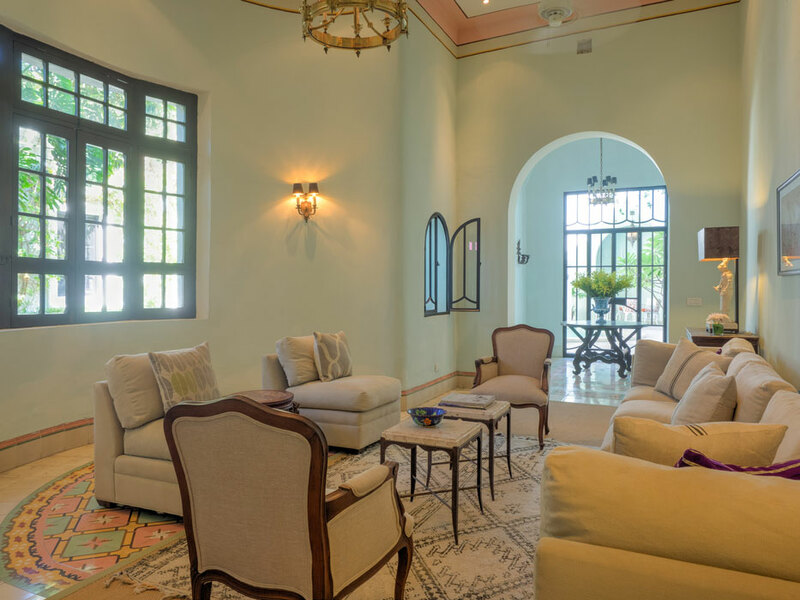 Villa Los Arcos de San Juan a luxury vacation rental in near the main square of Merida. 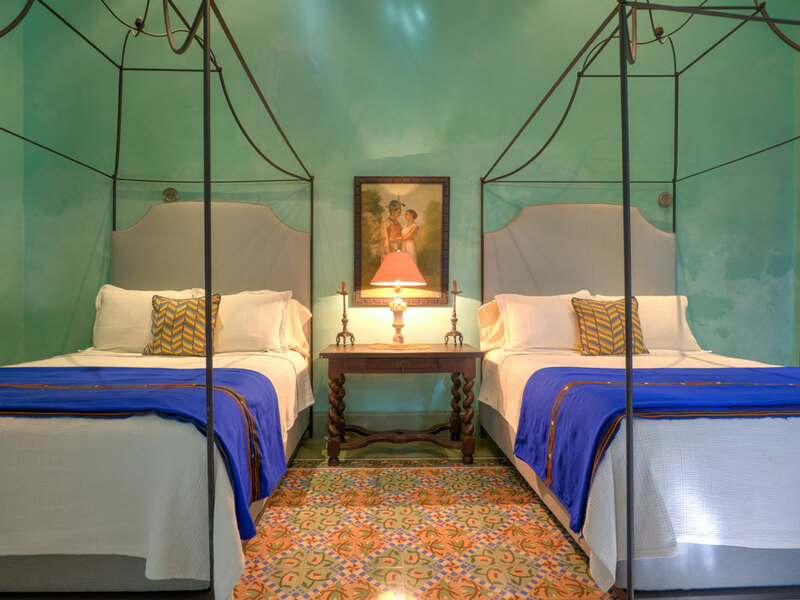 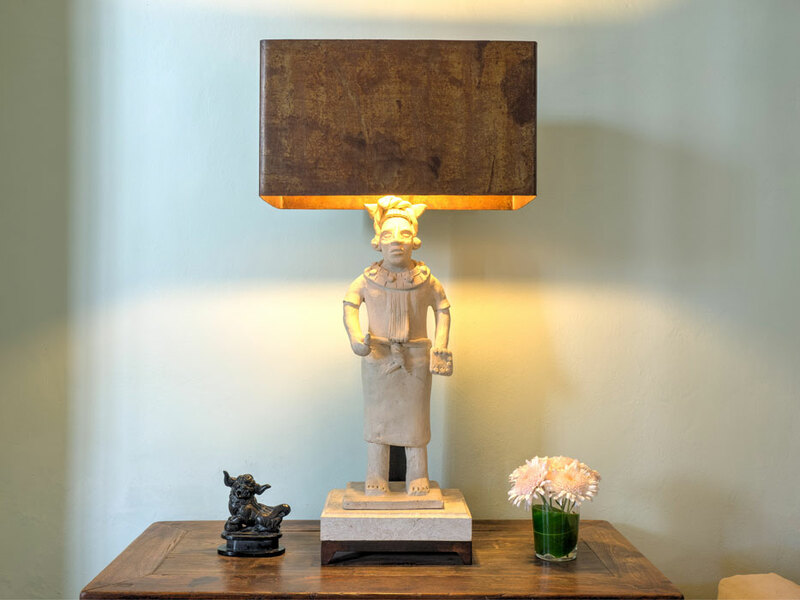 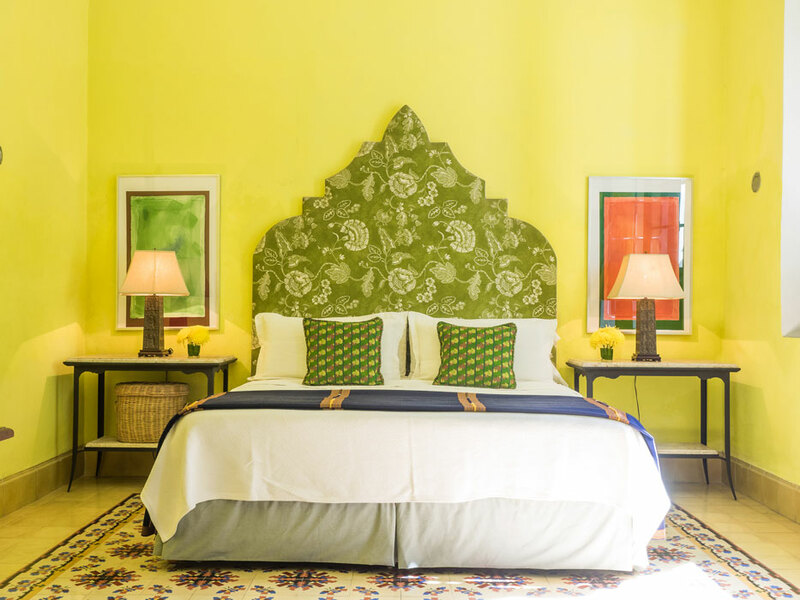 Recommended by Conde Nast Traveler. 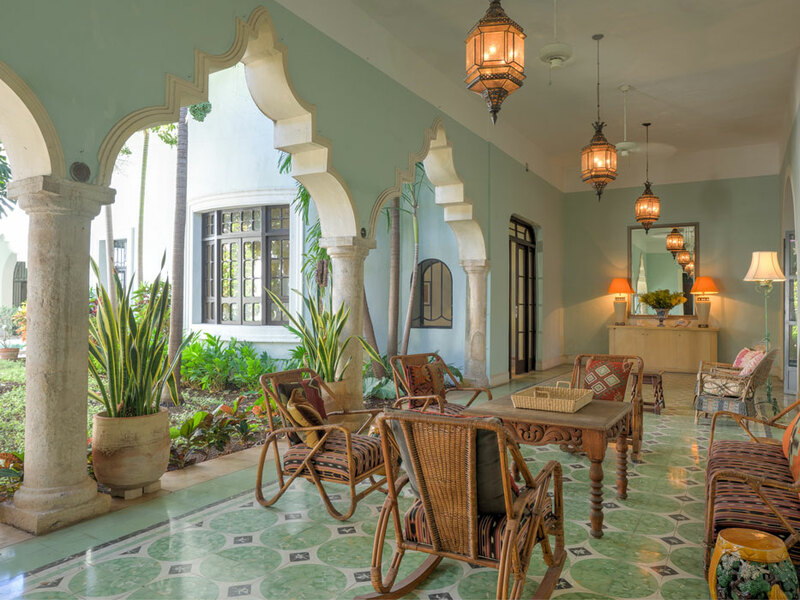 In 1930 a wealthy bride and groom went on a European honeymoon for two years while their wedding gift, an old colonial home, was renovated. 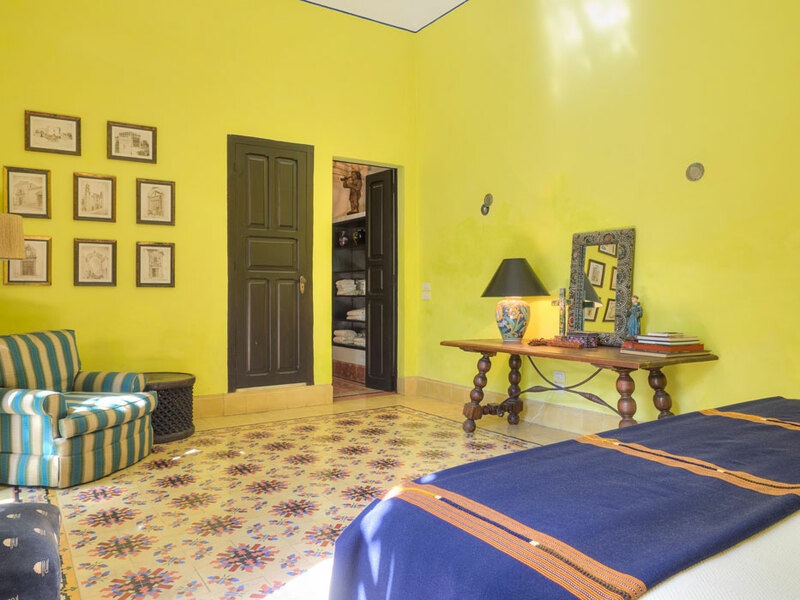 About ten years ago we met the daughter of that couple when a friend bought Villa Los Arcos and she told us the history of the house where she has lived for 80 years. 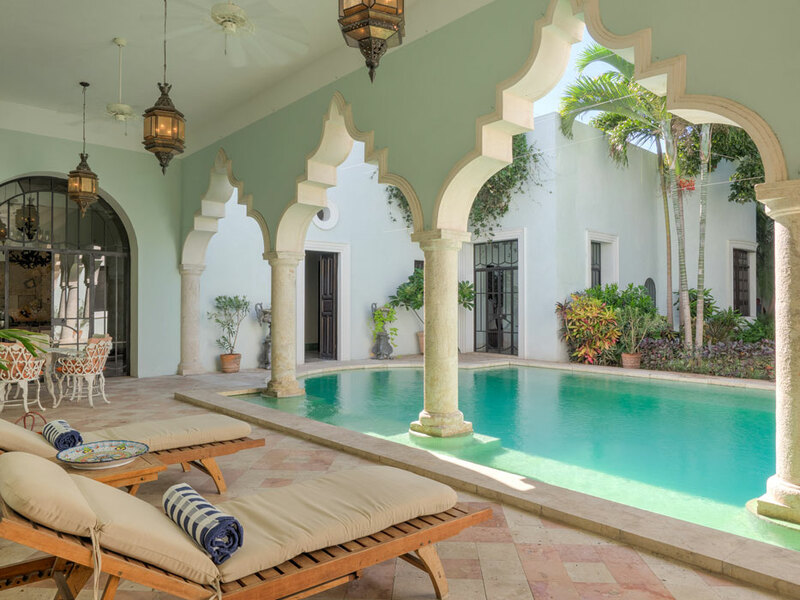 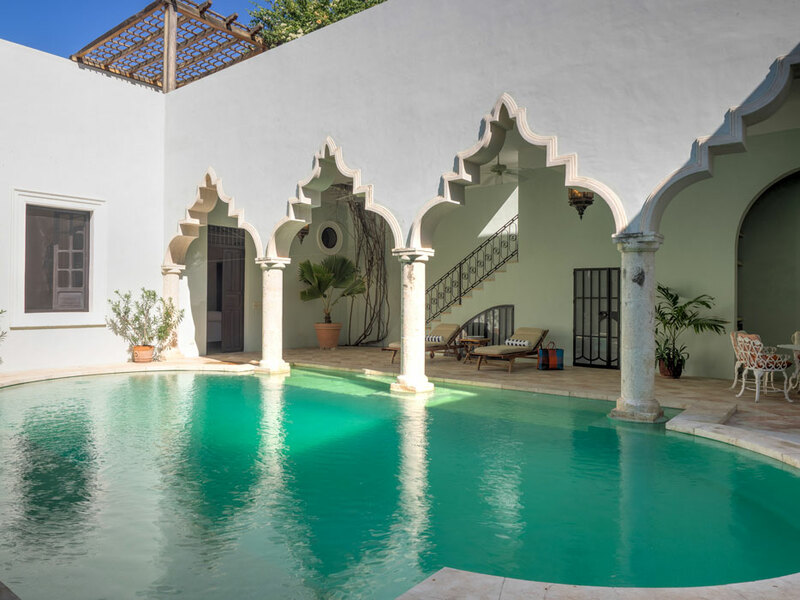 When renovated this large casona we took out the chicken coup and goat pen and copied the beautiful moorish arcade and added a large pool. 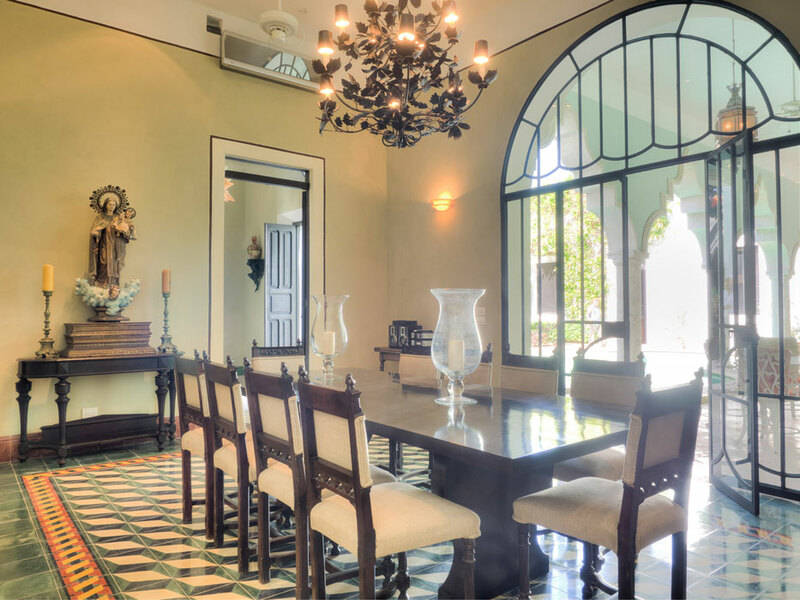 We discovered an old arch from the colonial home and made a new dining room off the back portico. 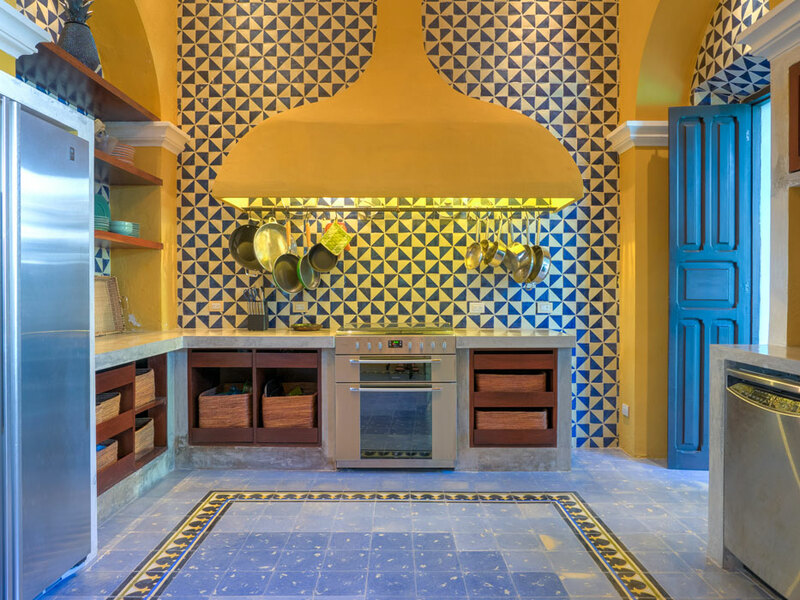 The old chimney hood and floors we kept and modernized the old kitchen. 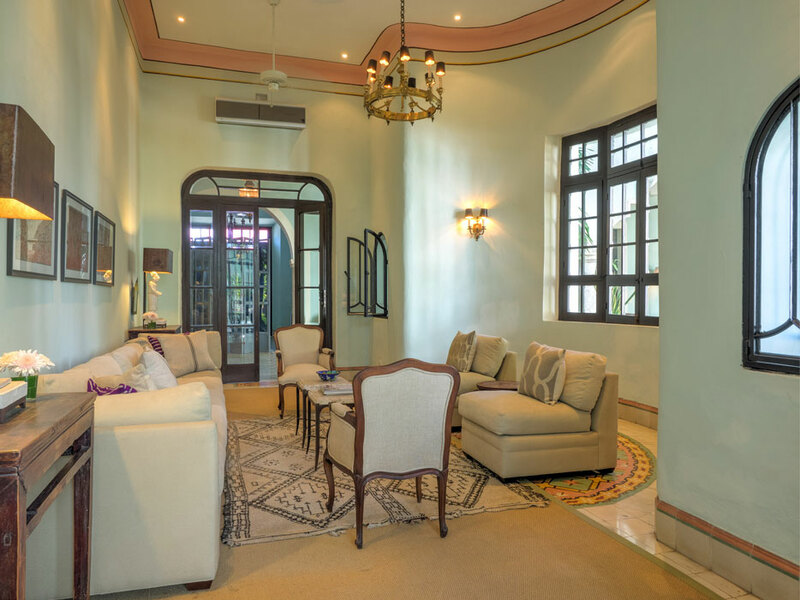 The living room retains it´s deco floors and windows onto the garden. 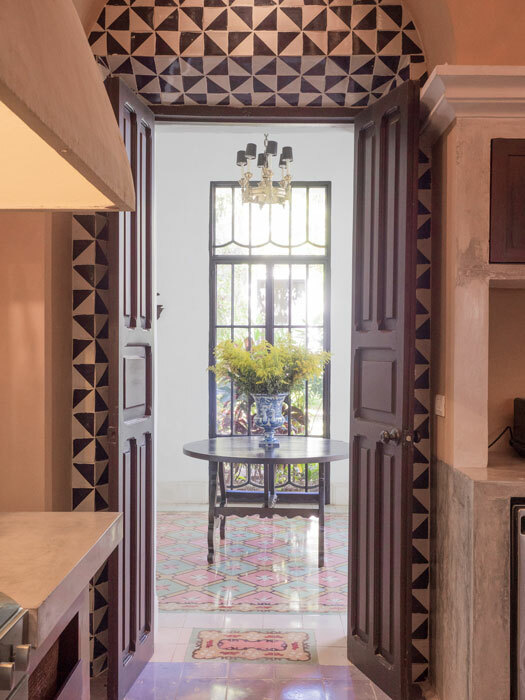 The floors in the front of the house are original. 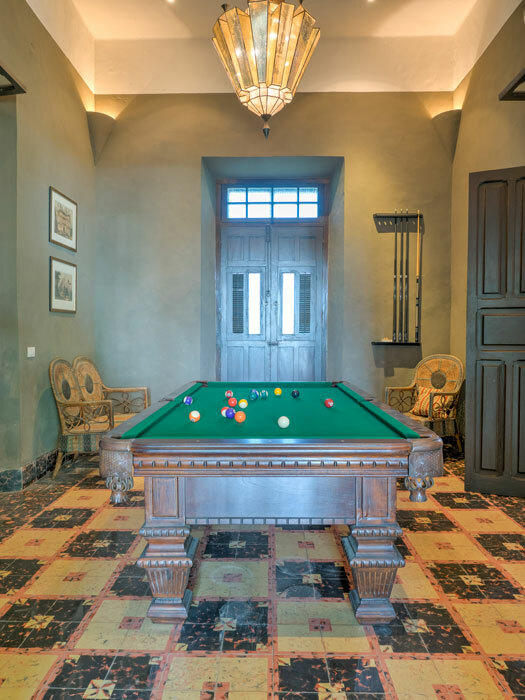 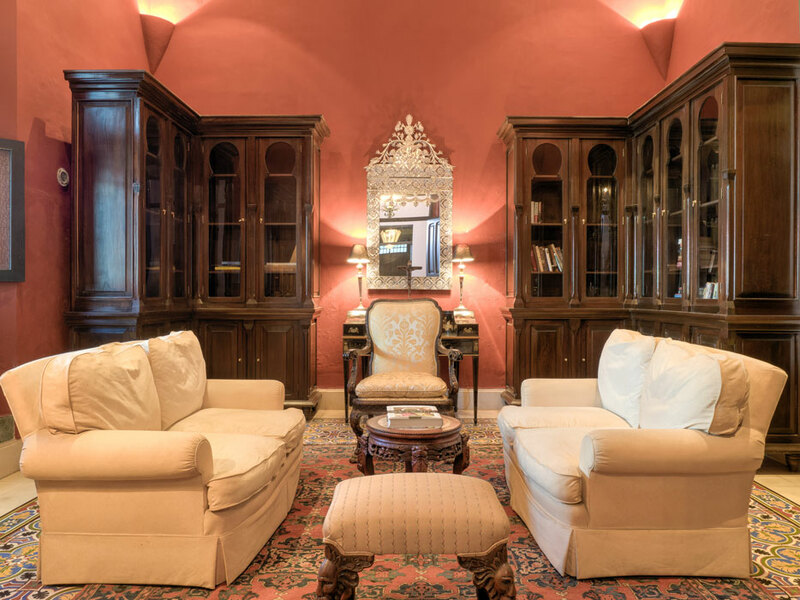 The billiard room was the groom´s reception room for his medical consultations. 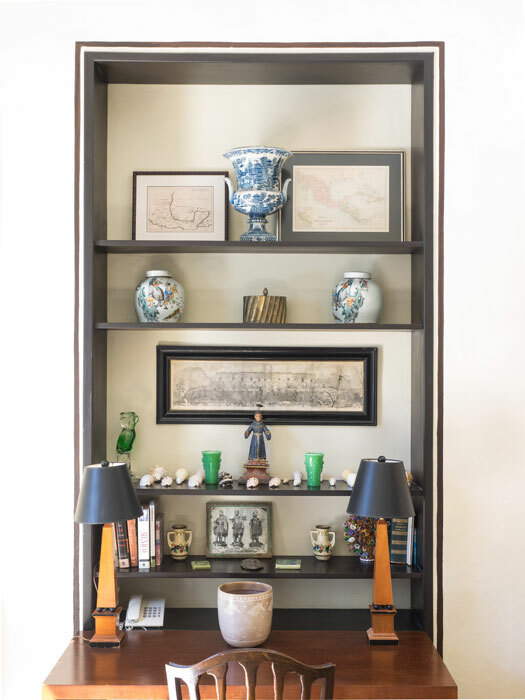 In the library we copied an old colonial hutch that was too damaged to restore. 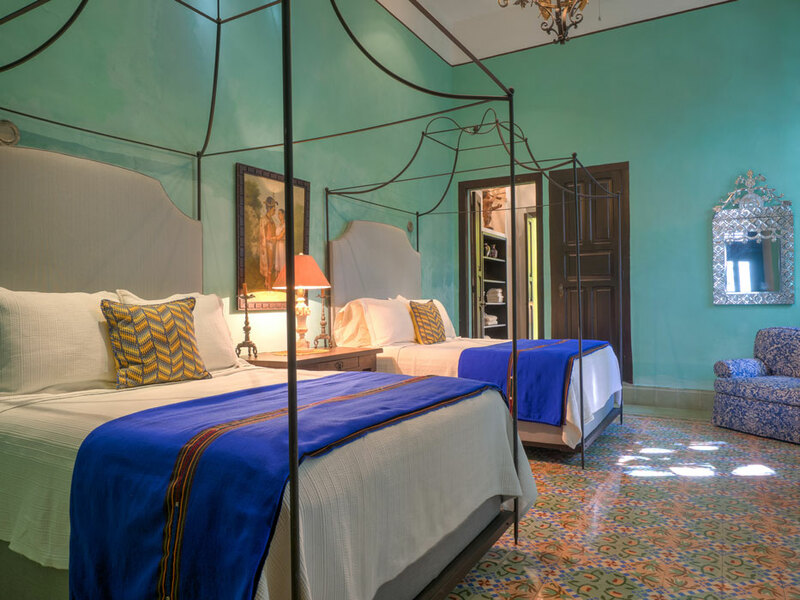 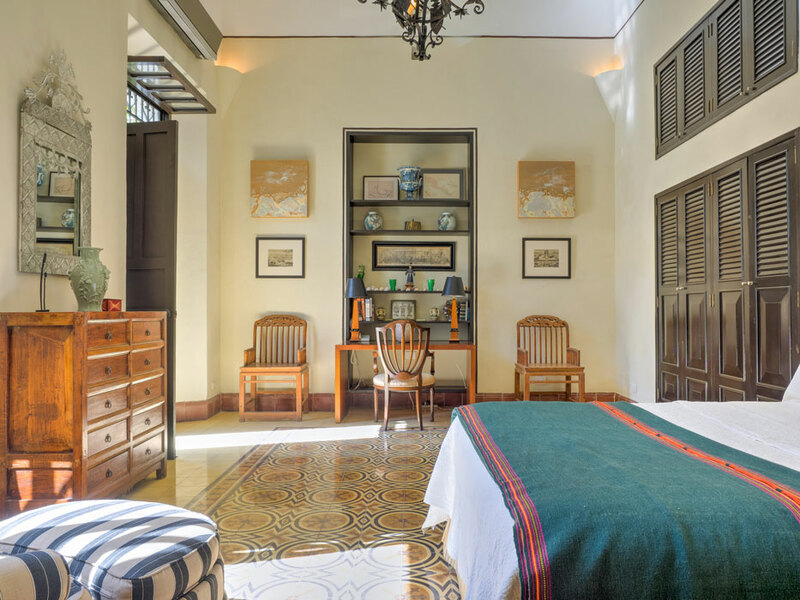 The bedrooms all open onto the garden or the porticos. 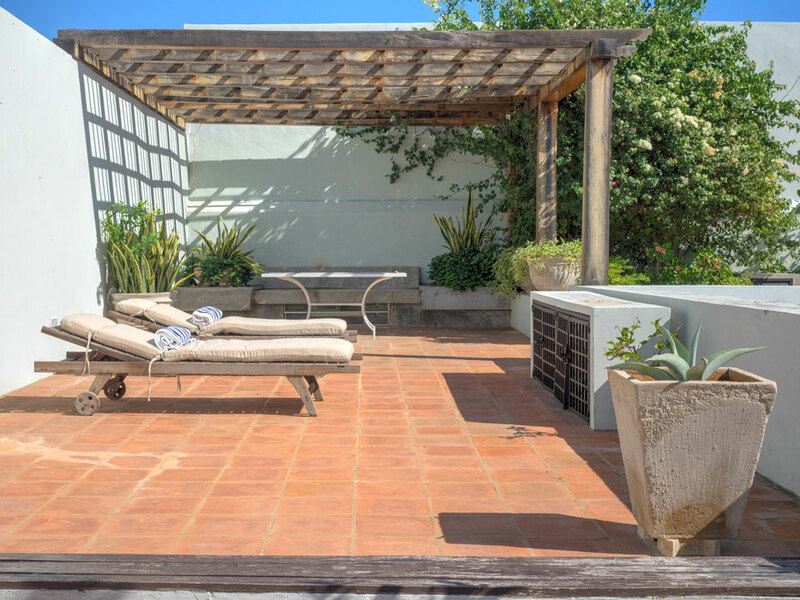 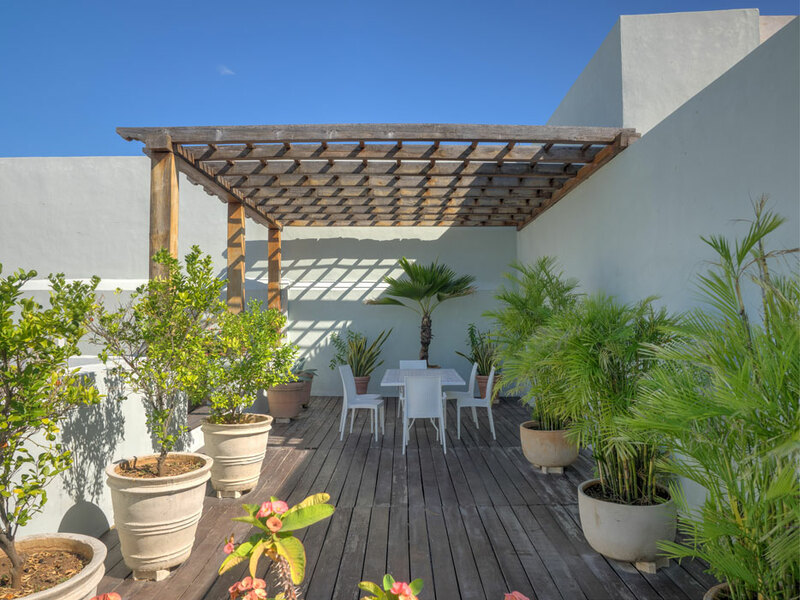 The roof terrace wraps around the house and garden with sunning areas and two pergolas for dining and relaxing in the shade. 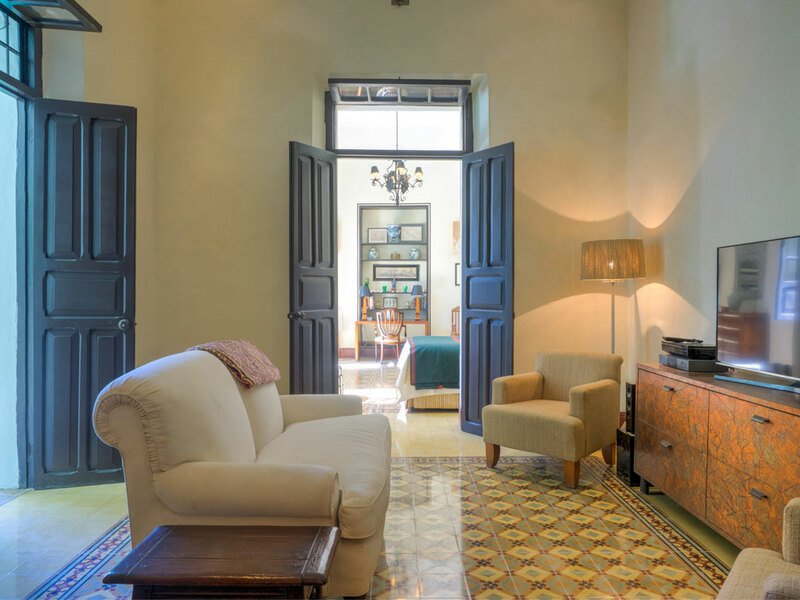 After renovating a dozen houses in Merida this remains one of our favorites and this is the first year we have been able to offer it for vacation rentals..